This chocolate pecan pie is inspired by the the famous pie served in Kentucky each year for the Kentucky Derby. It’s so simple to make it’s a good choice for the holidays when you are juggling lots of other things. 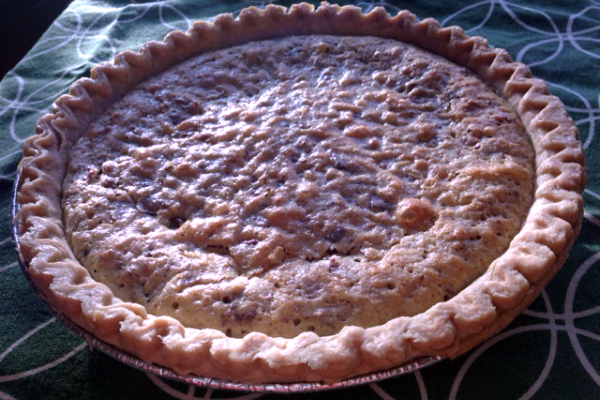 The winning combination of chocolate, pecans (or walnuts), and melted butter served warm with whipped cream is so tasty that hundreds of home cooks have undertaken the challenge over the years to recreate the pie that is now associated with Kentucky Derby day. 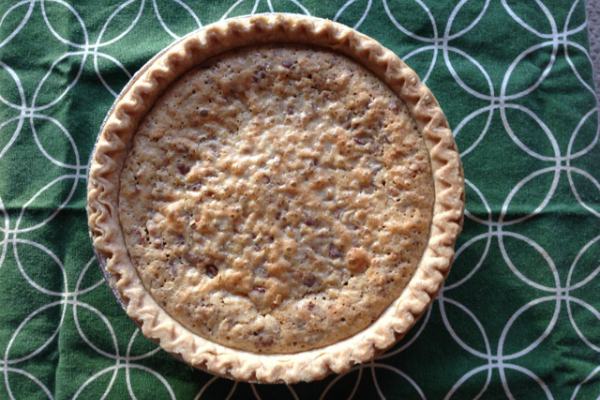 You can use pecans or walnuts, but it is pecans that showcase the pie’s Southern flavors. It’s also nice way to bring some chocolate into the range of holiday desserts. 2. In a large bowl mix sugar and flour. Stir in eggs, butter, and vanilla. Add walnuts and chocolate chips and stir until combined. 3. Spread mixture evenly in pastry shell. 4. Bake for 35 to 40 minutes until set. The pie should be soft and chewy but not runny. 5. Serve warm with whipped cream. An earlier version of this post first appeared on Stir It Up!, at CSMonitor.com.